Permanent tooth loss is sometimes a fact of life. Injury, accident, natural tooth loss, and even a personal choice can result in a need for replacement teeth, and naturally you want them to look as good as possible while also meeting the needs of talking and eating. Dentures come in two forms - full and partial. A full denture replaces an entire jaw of teeth, while a partial denture attaches to existing teeth to replace those missing. 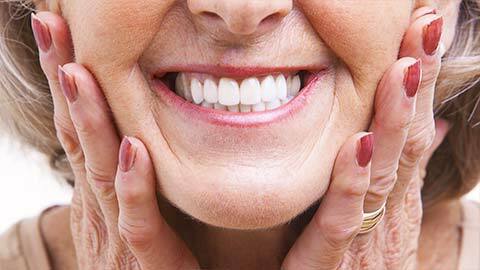 Both types of denture are removable, making them easy to care for and clean. Full and partial dentures are made with an acrylic base to fit over the gums, with the false teeth permanently embedded in the base. A full set fits down over the gumline completely, while a partial set is anchored by the teeth on either side of the space. 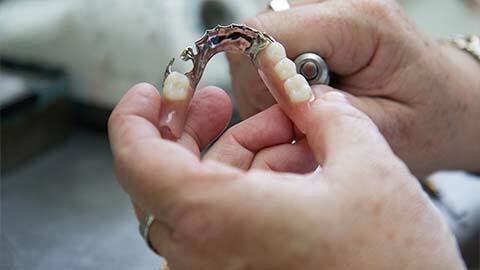 The dentures are custom-fitted for your mouth, with the frame constructed from molds for as snug a fit as possible. Dentures, like many other dental technologies and treatments, have come a long way in recent years. Dentures nowadays are better fitting and better looking than ever, making them a great option for patients with permanent tooth loss. If you’re in the market for a new set of dentures, ask Dr. Rozon about your options - we want you to be happy with your new smile! If you need more information about Dentures in Prince George, contact us today.